Observers hope that prominent opposition figures can provide an alternative to President Kabila. But many Congolese distrust these would-be leaders. Millionaire businessman Moise Katumbi has been touted as a possible next Congolese president. Credit: Diaspora Katangaise – Desiré kayumba. It has been a grim couple of months in the Democratic Republic of Congo (DRC), even by our own depressing standards. Slaughter in the Kasai region continues, with a detailed report by the Catholic Church accusing government forces and local militias of killing almost 3,500 people and destroying 20 villages. A series of prison breaks across country have added to insecurity and conspiracy theories. And the Electoral Commission announced – in Paris of all places – that it will be impossible to hold presidential elections in 2017. Adding to a sense of hopelessness is the fact that, amidst this chaos, there remains a paucity of leadership. The influential Catholic Church, one of the few organisations with moral authority in the DRC, left many Congolese bemused and frustrated in December 2016, when it facilitated a dialogue that allowed President Joseph Kabila to stay in office despite his mandate having ended. Meanwhile, the political opposition is deeply fragmented, in part thanks to the success of Kabila’s divide and rule strategy. There are currently over 380 official parties in the DRC, despite the high costs and bureaucracy involved in registering one. In a recent piece for African Arguments, Kris Berwouts maps the different political camps in the country and attempts to explain the confused nature of opposition politics. It is a noble attempt to describe an ignoble scene. Where I disagree with Berwouts, however, is in his suggestion that the best prospect for changes lies in an alliance between Moïse Katumbi, Vital Kamerhe and other leaders from the opposition grouping known as the G7. To me, this is not in keeping with the views of many people on the streets here in Kinshasa and across the country. Katumbi, the former governor of Katanga, and Kamerhe, the former President of the National Assembly, are among the DRC’s most prominent opposition figures. Felix Tshisekedi, the leader of the opposition UDPS and son of the late Etienne Tshisekedi, is another well-known individual. Rumours abound in Kinshasa today that President Kabila is in dialogue with all three, offering them key positions in government and the Follow-up Council of the Political Agreement (CNSA) for a three-year transitional period. Many observers see these men as the DRC’s best hope for change. But many Congolese see them as elites who have had more than their fair share of spoils and have themselves contributed to the country’s sorry state having already served under Mobutu Sese Seko or the Kabilas. To accept President Kabila’s alleged offer would be a massive political gamble for them personally and politically. We should avoid being too hasty in presuming that the current crop of opposition leaders present a better alternative to the status quo. Perhaps they do, but in the eyes of many Congolese they too lack legitimacy. 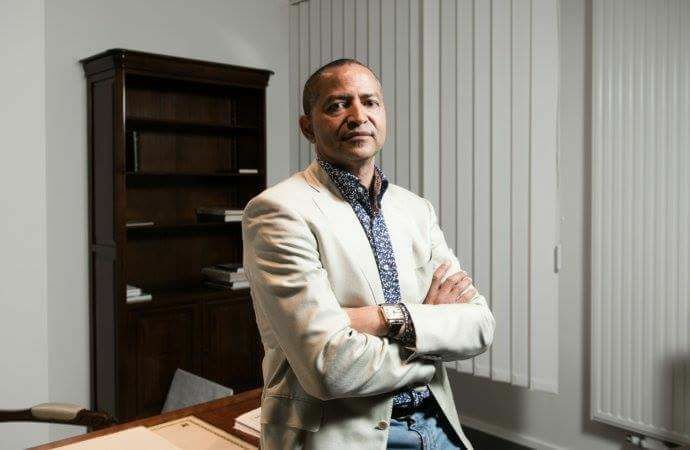 Katumbi’s recent interviews in the Financial Times and African Arguments hardly make the case that this is a man in touch with his nation or its people. In his FT interview, we learn that one of his favourite restaurants is among the most expensive in London. We read that leaner times mean he has had to sell his private Gulfstream jet. He suggests Mobutu was not a bad guy, but had bad people around him. He implies Kabila was a good president until he failed to step down on 19 December. He feels the need to reassure readers that he has never murdered anyone. There are other personalities in the mix too, but many are tarnished in one way or another. The most curious figure to have entered the political fray this year is the wealthy art collector and businessman Sindika Dokolo. His father was Mobutu’s private banker and his wife is Isabel dos Santos, Africa’s wealthiest woman and daughter of the Angolan president. Dokolo may seem more palatable to some Congolese than other opposition leaders. Many look across the border at Angola and see a country that has prospered economically over the past 20 years. Dokolo’s attacks at Kabila’s refusal to stand down suggest he is making a bid from his power base in Luanda. But for his troubles, he was sentenced in absentia to one year in prison this July on fraud charges. Speculation mounts that Katumbi and Dokolo are in dialogue about a political alliance. However, such talk raises recent memories of other alliances that have come and gone. Katumbi’s alliance with Felix Tshisekedi and Kamerhe quickly disintegrated earlier this year. Meanwhile the opposition coalition, Le Rassemblement, was supposed to unify opposition politics last year. Whether Dokolo can shed his privileged upbringing and connect to Congolese inside the country remains to be seen. But his intervention speaks to the unexpected and unknown dynamics now emerging in the political and moral vacuum that characterises the country today. Another sign of those shifting dynamics came on 30 June when Congo Remontada held a press conference introducing the leadership the new civic movement. Congo Remontada is not a political party, but invites parties interested to join the grassroots campaign calling for Kabila to go and for the restoration of democracy and human rights. The movement rejects the politics of the past and the present. It works with civil society and the Catholic Church to give expression to the hopes and aspirations of Congolese for a brighter, fairer future. It rejects the assumptions of the elites that they are entitled to assume office. The DRC is at a precipice. Like Mobutu, President Joseph Kabila looks set to ruin the country and take it down with him – as well as perhaps much of Central Africa. But this course is not inevitable. We have one last chance to change the direction of travel and pull the DRC back from the brink. Congo Remontada invites all progressive patriots – and the international community – to join it in this last ditch effort to save our country and the region from a third brutal war. Herman Nzeza Malungidi is a political activist and campaigner based in Kinshasa. He fled the conflict in Congo in 1997. He moved to London to study law and returned to DR Congo in 2010 to lead Free Fair DRC, a campaigning group which called for open and transparent presidential elections. DRC is approaching an inflection moment of civic civil social cleavage as the peoples are now most distressed as well as being frustrated in the lacking of progress vis a vis elections. CENI and CENCO are both in my judgment enablers to the status quo governing oligarchy who are most most reluctant to leave for reasons of privilege in theft as this Governing Oligarchy do not wish to be held accountable in a court of law. MONUSCO as an institution is sadly is utterly failing to exercise leadership in bridging this DRC political public imbroglio to an electoral conclusion as the DRC peoples crave are elections, not talk. All else is dilatory. Moise Katumbi, Mr. Felix T’s Ressemblemant [Political Entity] including many others of the ‘status quo’ opposition are primarily interested in retaining their prerequisites in power privilege regardless of elections. The British rock band the ‘Who’ in their most excellent song “Won’t Get Fooled Again” offer these concluding lyrics which resonate clear in DRC political publics. “Meet the new boss, same as the old boss”. I encourage all readers to listen carefully to the lyrics in this song of 1971, “Won’t Get Fooled Again”. Unfortunately, this DRC Oligarchy in crass governance in theft pillage has permeated their gangster ethos in corruption within the most senior echelons of International Civil Society creating I believe a substantive if not fundamental conflict of interest for transactional money. Appreciate, DRC maybe a vast country in space, understand the DRC Elites regardless of political public affiliation have no secrets as Tribal inclusive of National Ethnicity trumps particularly when cash money is involved as when money is involved there is always a trail. The UN is an institution pusillanimous governed by the Veto 5 as all else is compromise and civic dross in plumage through artifice. Notwithstanding DRC sovereignty, the peoples of DRC are now desperate for external moral public transformative action in rule of law adhesion to the DRC Constitution which has been subject to internal perversion. DRCongo political publics are in need of ‘rupture’ in governance transformative, not transactional in the maintainance of the generic DRC social economic status quo. Chinua Achebe on African Leadership or Why Chinua Achebe needs to be both read and discussed in Africa today by all the Leadership Cadre exercising power and responsibility. This leadership exegetic phrase by Achebe remains the unsurpassed diagnosis of the leadership deficit malady currently existing in Sub-saharan Africa notwithstanding the recent transformative civic civil electoral process in Nigeria; as for me, President Muhammadu Buhari has utterly failed in managing in the projection of his presidential executive mandate in the active promotion of prescriptive governance in strengthening all the good citizens of Nigeria. However, there is, an element political public ethos external that Achebe wrote which captures the strange ineluctable dissonance entailed so manifest in present day sub-saharan Africa leadership deeds, utterances and commentary. DRC President Joseph Kabila whose shadow state has contributed in a fundamental process the violence still prevalent in his nation DRC, once said; “The worst thing I have ever seen is the sight of a village after a massacre; you can never erase that from your memory”. This DRC President and many many less prominent do have an element of empathy to feel the suffering caused by the political public system they perpetuate and extend in methods corrupt, violent and venal. For me, the ordinal social civic issue for rigorous comment and discussion is that somehow these men are somehow able and capable in being able to subordinate and compartmentalize this normative universal empathy to the exigent crass power corrupt need requirement to keep the ‘looting machine’ operational and to ensure that they along with their oligarchical cadre remain at the control helm rather than joining the countless luckless other social political publics men and women who are and have been crushed destroyed beneath this corruption ‘mange’-eating looting machine’. comrades key word in all of leadership conditions of DRC is selfishness. How do we deal with hundreds of years colonialist instilled selfishness that have become so deeply imbedded in Buntu culture many do not realized it is a colonialist instilled entity? In fact even learned Buntu leaders reject they were hoodwinked into accepting development hindering or/plus prohibiting selfishness is a quality instilled by colonialists. Colonialists did same to China however, Chairman Mao semi-closed China borders as his organization reeducated people of China on distinguishing difference between colonialist instilled selfishness versus good business practices. Thereafter citizen of China was obligated to duly employ good business practices while prohibiting undue selfishness especially among leaders. This led to a communist party control group which limit terms of its leaders plus strictly control corruption with a death sentence for some found guilty. In Africa due to lucrative rewards found in corruption plus selfishness it is unlikely corrupt or/ plus puppet leaders will relinquish their power plus position as law required when they took office. As for puppets you always know them by fact they run to European whenever they have a difference of opinion with government. They seemingly do not ever turn to their Buntu neighbor nations. Puppet goals are to serve their European masters not Buntu. We are of search for Buntu leaders who will govern as set by law. We do not want leaders who seek to rule. Buntu Rulers do not ever manage in a manner that allow Buntu nation to develop as it have potential to develop due to that development would cost them their control. Puppet leaders are colonialist imbedded selfish thus will not ever serve Buntu best interest unless serving Buntu best interest on instant serve Puppet leader European master best interest. Unfortunately it is abundantly clear that Democratic Republic of Congo (DRC) to achieve greater modern development may have to take a step backward to a nationwide war. Question is who will lead people of DRC to win a war plus thereafter install a government that govern instead of rule? This is option President Kabila having knowingly given people of DRC who would like a government that govern plus do not rule. This lead me to suspect like some other African leaders especially those closely associated with France he might be a “crackhead “(cocaine addict). From afar he certainly appear to be plus his selfishness along with aloofness strongly indicate he is a uncaring drug addict.